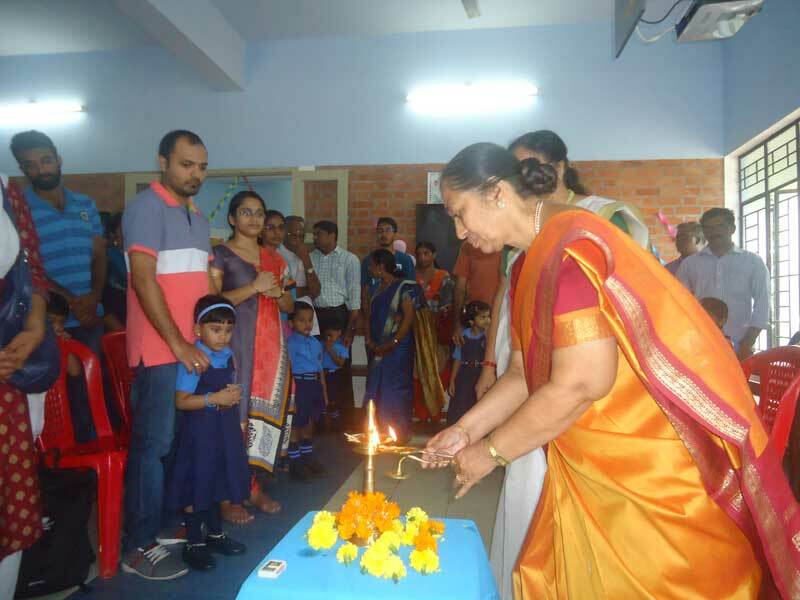 The opening day was celebrated as “Praveshanolsavam” which aimed at generating greater interest among students in learning. Teachers and senior students welcomed the tiny tots to the school. With Sweets and toys the children were ushered into the decorated classrooms. Light symbolizes knowledge, purity and is the dispeller of the darkness, to mark this an inspirational prayer session and lighting of the lamp was done. Dr.Unnikrishnan Nayar , Vice Chairman , BVB TVM Kendra and Smt. Lalitha Nair ,former Principal, Bharatiya Vidya Bhavan, Poojapura with their insightful thoughts captured everyone’s mind.